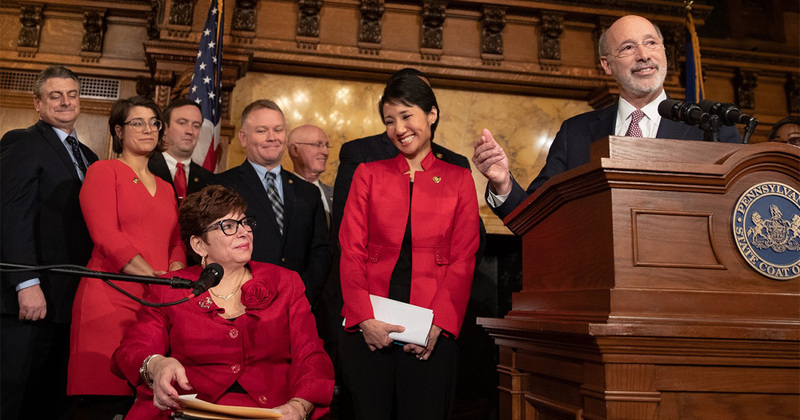 In collaboration with the governor and state Rep. Patty Kim, the senator will introduce legislation that will directly help more than one-third of Pennsylvania’s workers. Under the new proposal, Pennsylvania’s minimum wage would rise from the federal minimum of $7.25 to $12 on July 1, 2019. It would then increase an additional 50 cents per year until reaching $15 in 2025, after which it would be linked to annual cost of living adjustments. Tartaglione will soon introduce this plan as legislation in the Senate, while Kim will introduce it in the House. “Minimum wage is one of the most important issues facing us as elected officials and as a Commonwealth because it directly impacts so many of our constituents. Enacting our legislation would give raises to 2.1 million Pennsylvanians, who represent 37 percent of the total workforce,” Sen. Tartaglione said, quoting data compiled by the Keystone Research Center. Inflation has grown by more than 20 percent nationwide in the last dozen years, according to the Bureau of Labor Statistics, and 29 states, along with the District of Columbia, have raised their minimum wages above the federal minimum – including California and Washington at $12, and New York at $11.10. New minimum wage raises took effect in 21 states this month, and New Jersey lawmakers are planning to vote tomorrow on a plan to raise that state’s minimum wage to $15 over the next five years. All six of Pennsylvania’s neighboring states have higher minimum wages than the $7.25 in effect throughout the Commonwealth. Wolf stated that raising the minimum wage would reduce demand for public assistance and save taxpayers a combined $155 million over the next two years. Nearly 17,000 people would leave the state-funded Medicaid program next year, and another 51,000 would leave the following year. A portion of that savings will be reinvested to raise wages for workers who provide Department of Human Services-supported childcare and home care for seniors and people with disabilities. “Pennsylvania must be a place where hard work is rewarded. But our minimum wage hasn’t changed in a decade and too many hardworking people are struggling to get by,” said Governor Wolf. “Raising the minimum wage lets people afford the basics, like food, rent and transportation.